Get involved in our small groups ministry Connect-Up! Our vision is to provide an opportunity for everyone to become securely attached to the body and the spiritual life of the church through authentic relationships. 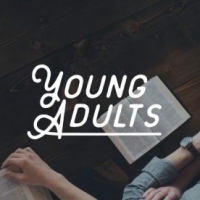 Our Young Adult's Small Group meets weekly in the Event Center. Join Pastor Jeff and Vivian for a discussion on topics that are relevant to young adults!